Why in the World Would You Build a Small Business!? The ideacapitalist interviews… the ideacapitalist, family guy, entrepreneur and small business owner. How did you become a small business owner, and why? The simplest answer would be, no one would hire me. My first job out of school was working for my dad. Nine months later, my dad fired me. I knew it was coming. My dad ran the business out of the house. That morning my mom had made me my favorite breakfast, blueberry pancakes. Thereafter, I have had successful stints with large and mid-size companies, but there’s only so much a person will do for money. I had reached my limit. What do you love the most about running a small business? Gainfully employing good people. Growing the business. Being more innovative and responsive than our larger competitors and winning. What does owning a business allow you to do that most folks do not get to enjoy? This question has the potential to be long on clichés, but the right answer is that I never have to think twice about getting out of bed in the morning. What is your biggest challenge right now and how are you dealing with it? Ok, now it’s time for a clichés. My favorite expression is from Alan Kay, “The best way to predict the future is to invent it.” In the software development (technology) business we are reminded of this expression daily. We have to constantly reinvent ourselves. What has been your proudest moment as a small business owner? My proudest moment was March 7, 2013 when we celebrated 25 years in business. What have you not yet achieved that you would like to? I’m not a “bucket list” kind of guy. Certainly I have revenue goals and long-term objectives for the business. Call it 20/20, annual twenty (20) percent growth in both revenue and profit. The real challenge is balancing the physical challenges with the mental challenges. Next year, I’m looking forward to both cross-country skiing and cycling around Crater Lake. What is the best part of your day? Getting out on my bike for an hour or two in the middle of a work day, and not getting run over. What has been your biggest mistake and how did you learn from it? I’ve made many. I’m going to make many more. My biggest mistake would be not to learn from them. Below is an example of someone who “works” at avoiding work, see the Ad below and the email response. 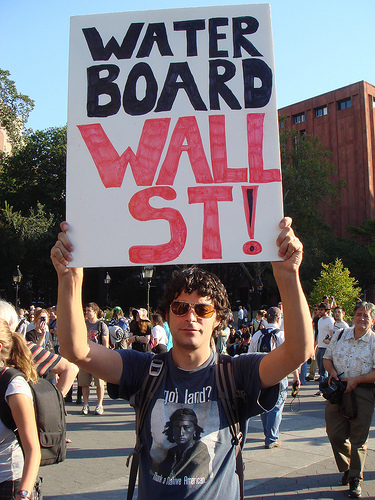 The Mainstream Media (MSM) and the White House (WH) brand their own heroes, like the entire Occupy Wall Street (OWS) movement. No matter what type of movement OWS stands for, including bowel movements, they get a pass. If you watch the MSM and believe their version of the story, you are being “programmed” for failure. If you are under-privileged, disadvantaged, abused, down on your luck, to the MSM, you can be a hero. You can be on the Front Page. If you do something the MSM programs as good, it erases everything else that’s bad. Bad doesn’t matter. MSM says… Out of work, good, successful, bad. Pacifist good, warrior bad. There are many everyday heroes, who go about their business, tirelessly, day in, day out, giving it all they’ve got, not giving in, or giving up, to make this world a better place. If you are up at 4 AM, at work by 5, slinging hash by 6, you’re just another working stiff, chances are, exit Stage Left, no one is interested. The MSM, they don’t get it. They’re not up at 4 AM. If they are, it’s not to share donuts and coffee with the local cops, or to understand who the real American are. The real heroes are the everyday, every time, everywhere kind of people, who pay their taxes, to take care of those of you who are on unemployment, those of you on food stamps, those of you on welfare, and those of you with your Obama phones. If you are, say over 50…? you’ve heard the jingle, “The best part of life, is Folgers in your cup!” It’s a jingle embedded in our lives. We may not live the jingle, but we won’t forget it. Great advertising! What if the White House came up with a less than forgettable jingle of their own? Instead the WH advertises dependency (see a Craig’s List job’s ad response below). Granted some of the “heroes”, are real life heroes, but only in a moment in time, and like most ordinary folks, they’re just giving it all they’ve got. If you are on any government program and deservedly so, , you should be very concerned about the freeloaders who make it their job, to thwart the system. Case in point, a fellow small business looking for an office manager, placed an ad on Craig’s List. Plain and simple. If you are on Federal Unemployment, you are required to seek employment, right? Is this is how you apply for a job? Many Americans work very hard. Many start early and work late into the night. Many of us are tired of the lies, and of people taking the easy way out. We’re tired of the MSM giving lazy, shiftless people a pass, especially Harry Reid and the US Senate. We’re also tired hearing commercial snippets on NBC (owned by GE) where Brian Williams, tells us to “go green” and turn off the lights. when we leave a room. No problem Brian. We’ll turn off NBC. Exit Stage Right. Excellent video of Obama’s deceptive speeches about the national debt, that undeniably undermine Obama’s incessant promises NOT to increase our national debt with his proposed new spending programs. Good evening. 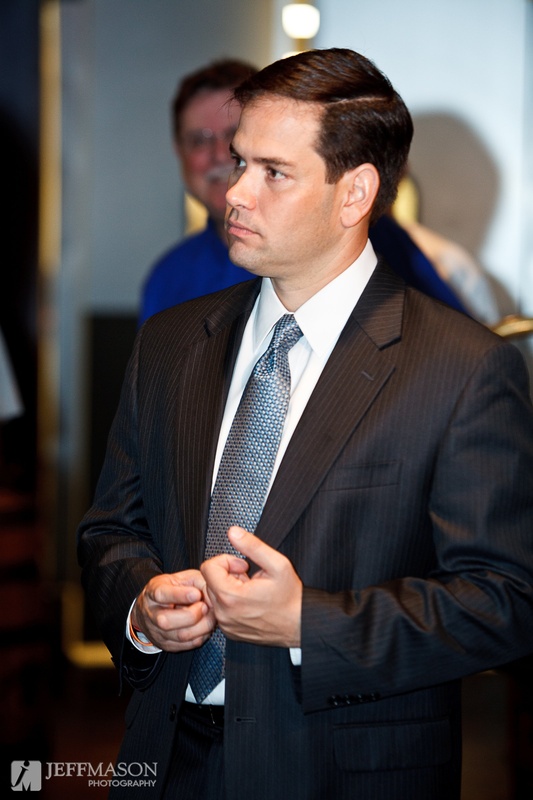 I’m Marco Rubio. I’m blessed to represent Florida in the United States Senate. Let me begin by congratulating President Obama on the start of his second term. Tonight, I have the honor of responding to his State of the Union address on behalf of my fellow Republicans. And I am especially honored to be addressing our brave men and women serving in the armed forces and in diplomatic posts around the world. You may be thousands of miles away, but you are always in our prayers. The State of the Union address is always a reminder of how unique America is. For much of human history, most people were trapped in stagnant societies, where a tiny minority always stayed on top, and no one else even had a chance. But America is exceptional because we believe that every life, at every stage, is precious, and that everyone everywhere has a God-given right to go as far as their talents and hard work will take them. Like most Americans, for me this ideal is personal. My parents immigrated here in pursuit of the opportunity to improve their life and give their children the chance at an even better one. They made it to the middle class, my dad working as a bartender and my mother as a cashier and a maid. I didn’t inherit any money from them. But I inherited something far better – the real opportunity to accomplish my dreams. This opportunity – to make it to the middle class or beyond no matter where you start out in life – it isn’t bestowed on us from Washington. It comes from a vibrant free economy where people can risk their own money to open a business. And when they succeed, they hire more people, who in turn invest or spend the money they make, helping others start a business and create jobs. Presidents in both parties – from John F. Kennedy to Ronald Reagan – have known that our free enterprise economy is the source of our middle class prosperity. But President Obama? He believes it’s the cause of our problems. That the economic downturn happened because our government didn’t tax enough, spend enough and control enough. And, therefore, as you heard tonight, his solution to virtually every problem we face is for Washington to tax more, borrow more and spend more. This idea – that our problems were caused by a government that was too small – it’s just not true. In fact, a major cause of our recent downturn was a housing crisis created by reckless government policies. And the idea that more taxes and more government spending is the best way to help hardworking middle class taxpayers – that’s an old idea that’s failed every time it’s been tried. More government isn’t going to help you get ahead. It’s going to hold you back. More government isn’t going to create more opportunities. It’s going to limit them. And more government isn’t going to inspire new ideas, new businesses and new private sector jobs. It’s going to create uncertainty. Because more government breeds complicated rules and laws that a small business can’t afford to follow. Because more government raises taxes on employers who then pass the costs on to their employees through fewer hours, lower pay and even layoffs. And because many government programs that claim to help the middle class, often end up hurting them instead. For example, Obamacare was supposed to help middle class Americans afford health insurance. But now, some people are losing the health insurance they were happy with. And because Obamacare created expensive requirements for companies with more than 50 employees, now many of these businesses aren’t hiring. Not only that; they’re being forced to lay people off and switch from full-time employees to part-time workers. Now does this mean there’s no role for government? Of course not. It plays a crucial part in keeping us safe, enforcing rules, and providing some security against the risks of modern life. But government’s role is wisely limited by the Constitution. And it can’t play its essential role when it ignores those limits. There are valid reasons to be concerned about the President’s plan to grow our government. But any time anyone opposes the President’s agenda, he and his allies usually respond by falsely attacking their motives. When we point out that no matter how many job-killing laws we pass, our government can’t control the weather – he accuses us of wanting dirty water and dirty air. When we suggest we strengthen our safety net programs by giving states more flexibility to manage them – he accuses us of wanting to leave the elderly and disabled to fend for themselves. And tonight, he even criticized us for refusing to raise taxes to delay military cuts – cuts that were his idea in the first place. But his favorite attack of all is that those who don’t agree with him – they only care about rich people. Mr. President, I still live in the same working class neighborhood I grew up in. My neighbors aren’t millionaires. They’re retirees who depend on Social Security and Medicare. They’re workers who have to get up early tomorrow morning and go to work to pay the bills. They’re immigrants, who came here because they were stuck in poverty in countries where the government dominated the economy. The tax increases and the deficit spending you propose will hurt middle class families. It will cost them their raises. It will cost them their benefits. It may even cost some of them their jobs. And it will hurt seniors because it does nothing to save Medicare and Social Security. So Mr. President, I don’t oppose your plans because I want to protect the rich. I oppose your plans because I want to protect my neighbors. Hard-working middle class Americans who don’t need us to come up with a plan to grow the government. They want a plan to grow the middle class. Economic growth is the best way to help the middle class. Unfortunately, our economy actually shrank during the last three months of 2012. But if we can get the economy to grow at just 4 percent a year, it would create millions of middle class jobs. And it could reduce our deficits by almost $4 trillion dollars over the next decade. Tax increases can’t do this. Raising taxes won’t create private sector jobs. And there’s no realistic tax increase that could lower our deficits by almost $4 trillion. That’s why I hope the President will abandon his obsession with raising taxes and instead work with us to achieve real growth in our economy. One of the best ways to encourage growth is through our energy industry. Of course solar and wind energy should be a part of our energy portfolio. But God also blessed America with abundant coal, oil and natural gas. Instead of wasting more taxpayer money on so-called “clean energy” companies like Solyndra, let’s open up more federal lands for safe and responsible exploration. And let’s reform our energy regulations so that they’re reasonable and based on common sense. If we can grow our energy industry, it will make us energy independent, it will create middle class jobs and it will help bring manufacturing back from places like China. Simplifying our tax code will also help the middle class, because it will make it easier for small businesses to hire and grow. And we agree with the President that we should lower our corporate tax rate, which is one of the highest in the world, so that companies will start bringing their money and their jobs back here from overseas. We can also help our economy grow if we have a legal immigration system that allows us to attract and assimilate the world’s best and brightest. We need a responsible, permanent solution to the problem of those who are here illegally. But first, we must follow through on the broken promises of the past to secure our borders and enforce our laws. Helping the middle class grow will also require an education system that gives people the skills today’s jobs entail and the knowledge that tomorrow’s world will require. We need to incentivize local school districts to offer more advanced placement courses and more vocational and career training. We need to give all parents, especially the parents of children with special needs, the opportunity to send their children to the school of their choice. And because tuition costs have grown so fast, we need to change the way we pay for higher education. I believe in federal financial aid. I couldn’t have gone to college without it. But it’s not just about spending more money on these programs; it’s also about strengthening and modernizing them. A 21st century workforce should not be forced to accept 20th century education solutions. Today’s students aren’t only 18 year olds. They’re returning veterans. They’re single parents who decide to get the education they need to earn a decent wage. And they’re workers who have lost jobs that are never coming back and need to be retrained. We need student aid that does not discriminate against programs that non-traditional students rely on – like online courses, or degree programs that give you credit for work experience. When I finished school, I owed over 100,000 dollars in student loans, a debt I paid off just a few months ago. Today, many graduates face massive student debt. We must give students more information on the costs and benefits of the student loans they’re taking out. All these measures are key to helping the economy grow. But we won’t be able to sustain a vibrant middle class unless we solve our debt problem. Every dollar our government borrows is money that isn’t being invested to create jobs. And the uncertainty created by the debt is one reason why many businesses aren’t hiring. The President loves to blame the debt on President Bush. But President Obama created more debt in four years than his predecessor did in eight. The real cause of our debt is that our government has been spending 1 trillion dollars more than it takes in every year. That’s why we need a balanced budget amendment. The biggest obstacles to balancing the budget are programs where spending is already locked in. One of these programs, Medicare, is especially important to me. It provided my father the care he needed to battle cancer and ultimately die with dignity. And it pays for the care my mother receives now. I would never support any changes to Medicare that would hurt seniors like my mother. But anyone who is in favor of leaving Medicare exactly the way it is right now, is in favor of bankrupting it. Republicans have offered a detailed and credible plan that helps save Medicare without hurting today’s retirees. Instead of playing politics with Medicare, when is the President going to offer his plan to save it? Tonight would have been a good time for him to do it. Of course, we face other challenges as well. We were all heart broken by the recent tragedy in Connecticut. We must effectively deal with the rise of violence in our country. But unconstitutionally undermining the 2nd Amendment rights of law-abiding Americans is not the way to do it. On foreign policy, America continues to be indispensable to the goal of global liberty, prosperity and safeguarding human rights. The world is a better place when America is the strongest nation on earth. But we can’t remain powerful if we don’t have an economy that can afford it. In the short time I’ve been here in Washington, nothing has frustrated me more than false choices like the ones the President laid out tonight. The choice isn’t just between big government or big business. What we need is an accountable, efficient and effective government that allows small and new businesses to create middle class jobs. We don’t have to raise taxes to avoid the President’s devastating cuts to our military. Republicans have passed a plan that replaces these cuts with responsible spending reforms. In order to balance our budget, the choice doesn’t have to be either higher taxes or dramatic benefit cuts for those in need. Instead we should grow our economy so that we create new taxpayers, not new taxes, and so our government can afford to help those who truly cannot help themselves. And the truth is every problem can’t be solved by government. Many are caused by the moral breakdown in our society. And the answers to those challenges lie primarily in our families and our faiths, not our politicians. Despite our differences, I know that both Republicans and Democrats love America. I pray we can come together to solve our problems, because the choices before us could not be more important. If we can get our economy healthy again, our children will be the most prosperous Americans ever. 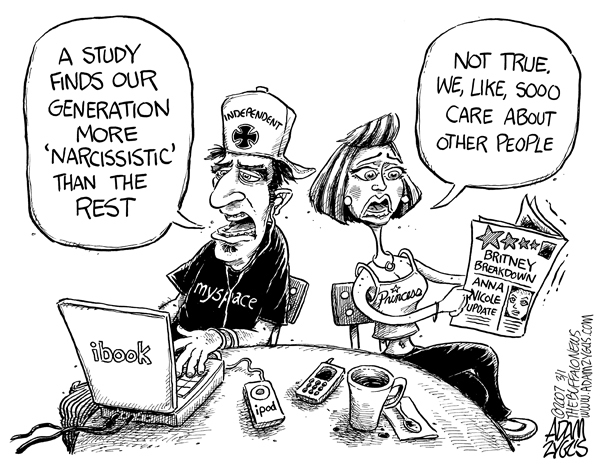 And if we do not, we will forever be known as the generation responsible for America’s decline. At a time when one showdown after another ends in short-term deals that do little or nothing about our real problems, some are starting to believe that our government leaders just can’t or won’t make the right choices anymore. But our strength has never come from the White House or the Capitol. It’s always come from our people. A people united by the American idea that, if you have a dream and you are willing to work hard, nothing should be impossible. Americans have always celebrated and been inspired by those who succeed. But it’s the dreams of those who are still trying to make it that sets our nation apart. Tonight, all across this land, parents will hold their newborn children in their arms for the first time. For many of these parents, life has not gone the way they had planned. Maybe they were born into circumstances they’ve found difficult to escape. Maybe they’ve made some mistakes along the way. Maybe they’re young mothers, all alone, the father of their child long gone. But tonight, when they look into the eyes of their child for the first time, their lives will change forever. Because in those eyes, they will see what my parents saw in me, and what your parents saw in you. They will see all the hopes and dreams they once had for themselves. This dream – of a better life for their children – it’s the hope of parents everywhere. Politicians here and throughout the world have long promised that more government can make those dreams come true. But we Americans have always known better. From our earliest days, we embraced economic liberty instead. And because we did, America remains one of the few places on earth where dreams like these even have a chance. Each time our nation has faced great challenges, what has kept us together was our shared hope for a better life. Now, let that hope bring us together again. To solve the challenges of our time and write the next chapter in the amazing story of the greatest nation man has ever known. Thank you for listening. May God bless all of you. May God bless our President. And may God continue to bless the United States of America. Does the government breed dependency? Certainly, for many, and not for all the right reasons. There are kids growing up on welfare, who don’t know any better. They don’t choose entitlements, entitlements choose them. Entitlements are all they know. As a teacher’s aide, my wife worked in a dropout prevention program. There was a young women she had taken under her wing. Our family welcomed her and her younger sister into our home and we treated them like family. These young girls were basically in the same age group as our own daughters. We did a lot of family functions, meals, movies, theme parks, etc… together. When their behavior became more aggressive,when they began expecting to receive special treatment, whereby our own daughters did not, it was time to end the party. Tough love. Tough love? Thinking back, there was never really any real familial love. There was caring, a lot of caring. The plight of these girls still tugs at the heart string of our own family members, but there was no familial love given, for that matter, none shared. It was a voluntary union by all, arguably a noble union. No one really got hurt, right? This was what we knew. This was what we considered acceptable behavior. Others would consider doing much less, and find it acceptable behavior. Why do seemingly noble gestures tend to haunt us? Most of us “do-gooders” never learn from the ensuing realities. Like Erich Fromm wrote about many years ago, in his book The Sane Society, as a society we’ve stopped short of loving. One of my favorite Fromm observations, is also the most thought-provoking. Loving someone is very, very, tough to do. And according to Fromm, love is an art. To become a master artist, you have to practice long hours, every day. I would have to say “tough love” is becoming a “lost art.” Does the absence of love breed dependency? Is Fromm right? Is our society going insane? Romney Was Right! Small Business Owners Are Getting Screwed! I have been shouting from the roof tops about small business owners getting screwed by the Obama Administration’s “drum beating” campaign of class warfare to tax the rich. Small businesses without a capital infusion from Venture Capitalists (VC) or angel investors, take many years to grow and become profitable. Our investment capital comes from our own savings accounts, 2nd mortgages and personal loans. We work immeasurable hours and spend our own money to build our businesses, while our famous “You Didn’t Build That” president, Obama, is trying to take all that away. Small business owners are not “rich.” They are getting screwed by Big Government and Big Business because they pay their taxes as individuals if they file as a Sub Chapter S or LLC corporations that pass all income down to the individual small business owner. Now, as part of the fiscal cliff deal, higher taxes have become a reality for many small business owners. Obama has done a great job of pitting the poor against the rich at the expense of the middle class, of which, include most small business owners. The election’s over. Romney was right! Small Business Owners Are STILL Getting Screwed by Obama and his cronies! Additionally, when a separate bill is passed to lower corporate tax rates, by which any corporate tax reform will hinge upon on closing “loopholes” to pay for a lower corporate rate. Small business owners would lose tax perks along with everyone else—meaning they would pay even more—but they would not benefit from lower corporate rates. Much of the money small businesses earn, gets taxed as individual income, and would be reinvested in their businesses. The naysayers would say, the money that is reinvested in the business is tax deductible because it can be expensed and therefore is not taxable. The problem with that theory is a little thing called cash flow. Cash flow is the Holy Grail of small business, money held in reserve, money not yet spent, which is essential for a small business, money that fuels business growth. That money is is taxed as individual income for a small business owner. Finally, there will be so called experts, that will say change your filing to a “C” Corp. Without getting into all the details, every small business looks at the pluses and minuses of S Corp. vs. C Corp, vs. LLC etc… and a properly run small business will know best how to file their taxes. Only they would know, based on their situation, what’s best when it comes to filing their taxes. If you think you know better, start your own damned business and see how that goes. I’ll still be shouting from the rooftops, that small business owners are getting screwed! Here’s a small business owner’s take on how small businesses are being sold down the river by this administration and he voted for Obama. Gia Pronto owner Marco Lentini on how government policies’ are impacting small business growth. 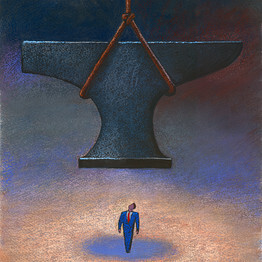 Is Government Getting in the Way of Small Business?